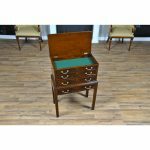 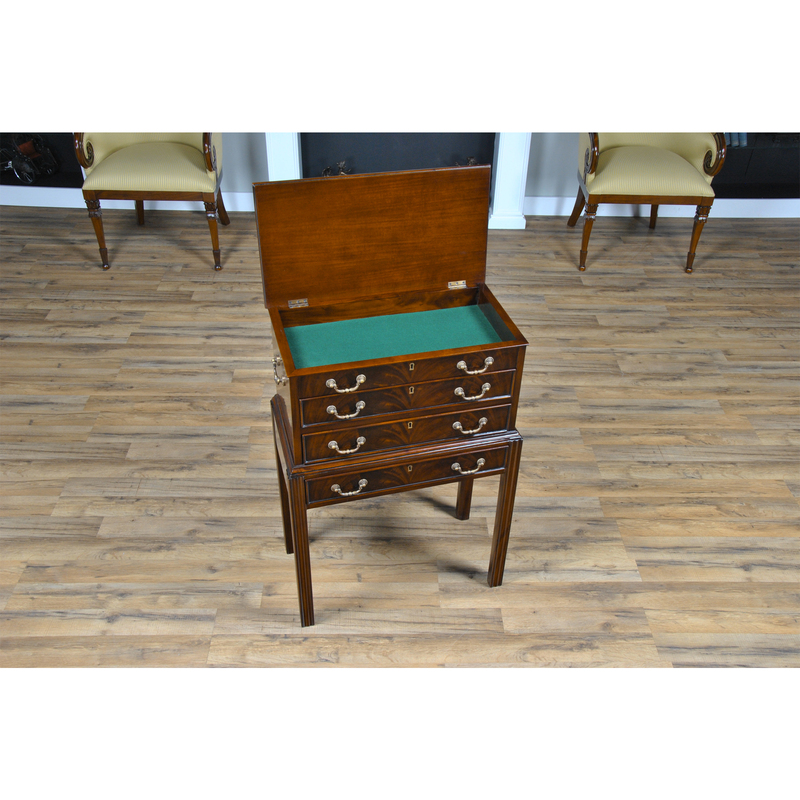 A small silver chest produced by Niagara Furniture resting on square and reeded legs with four drawers, the uppermost being a false drawer and the lid opening to reveal an unusual design feature. 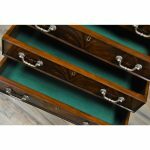 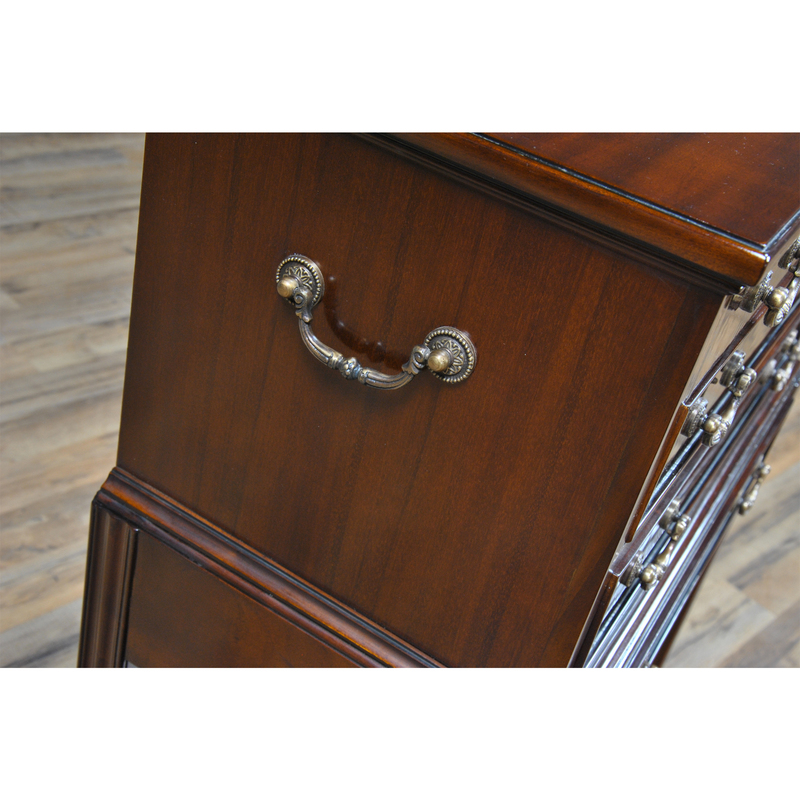 Each storage space is felt lined and fronted with dual pulls, the key escutcheon being decorative only, there are no locks on this Small Silver Chest. 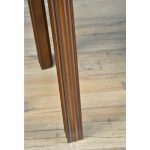 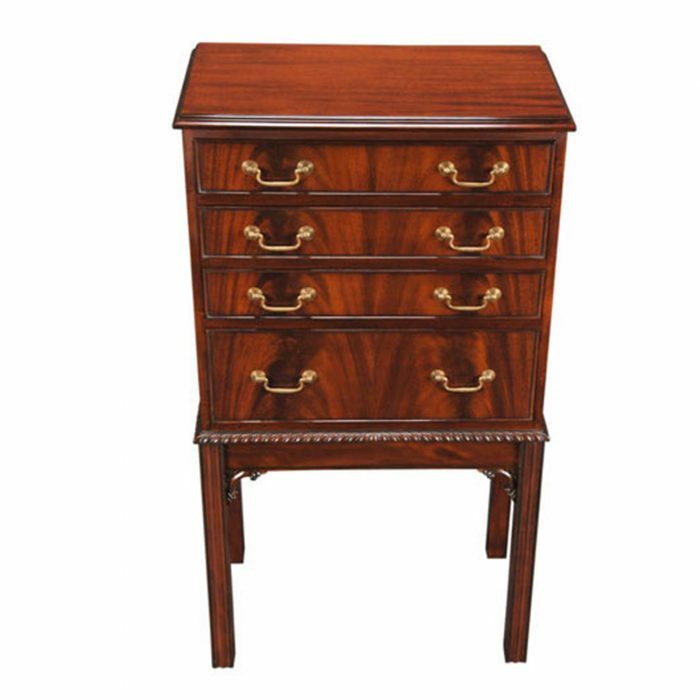 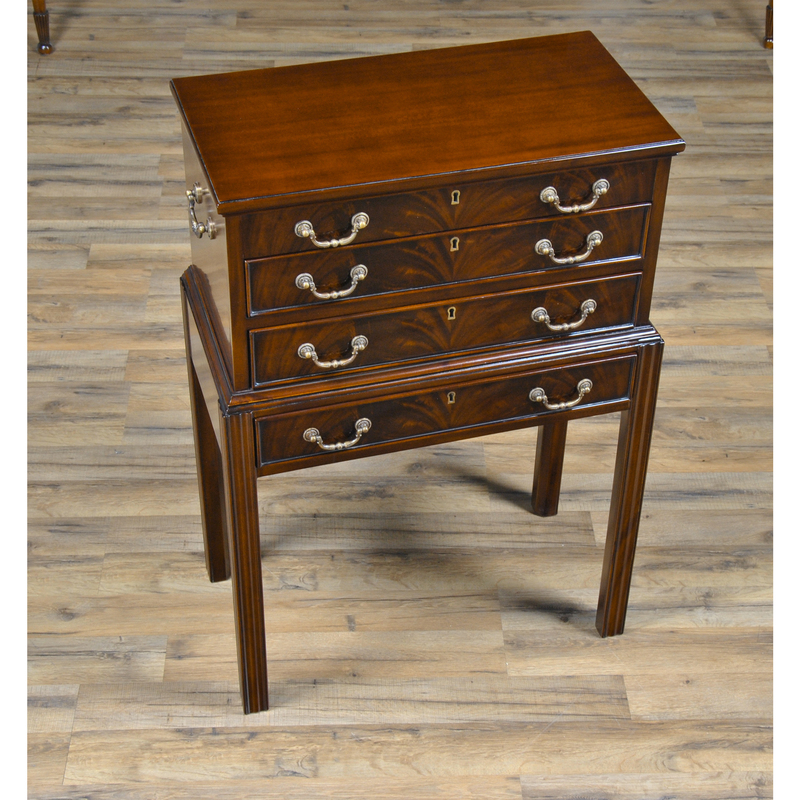 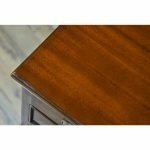 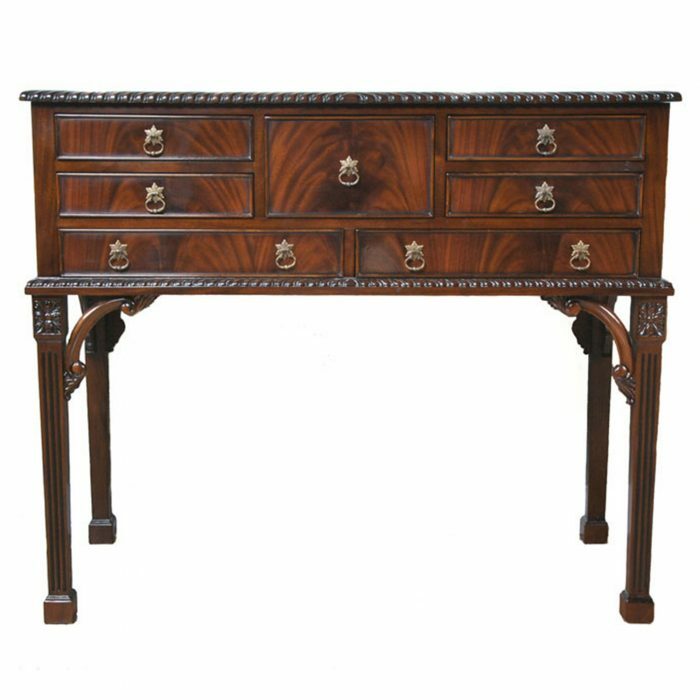 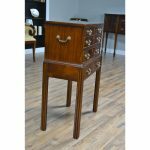 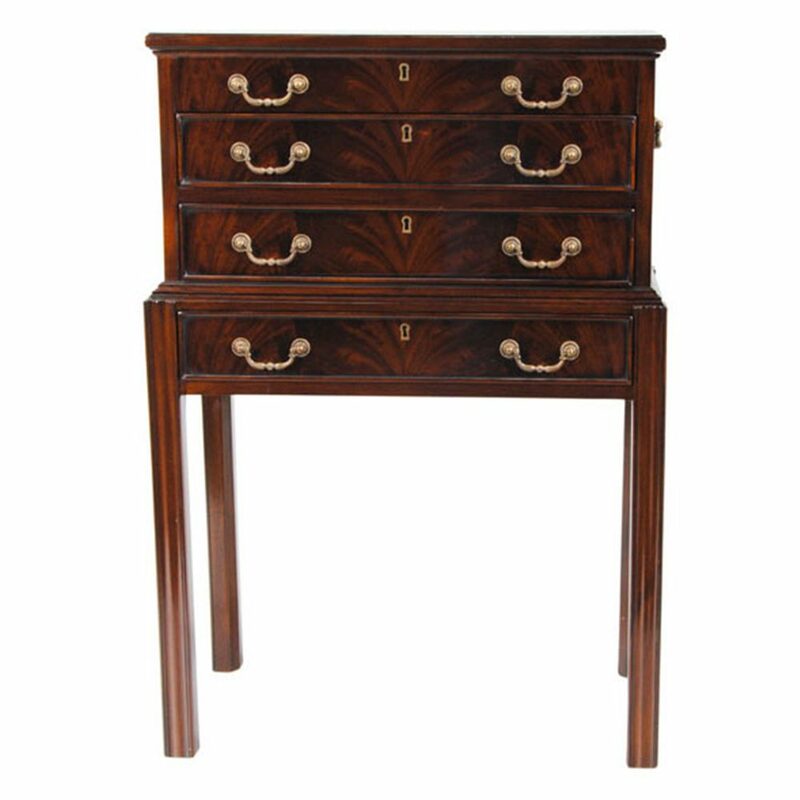 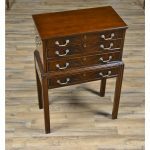 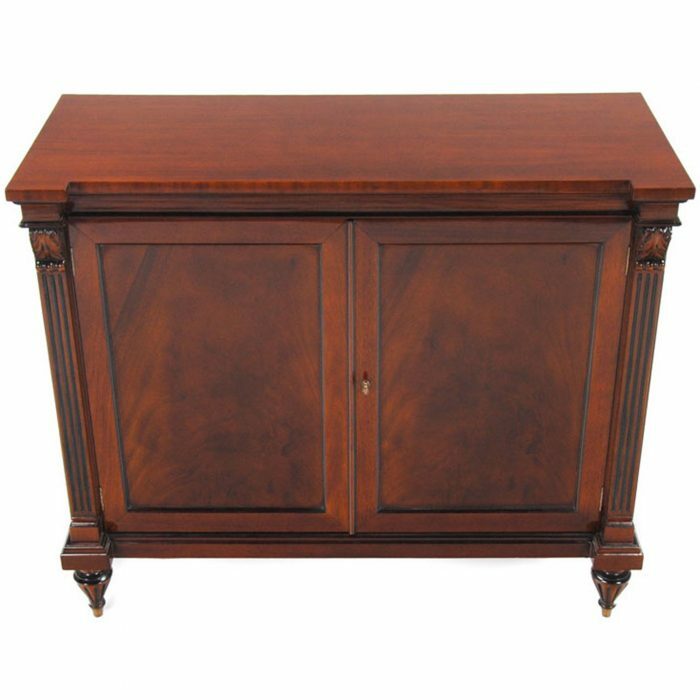 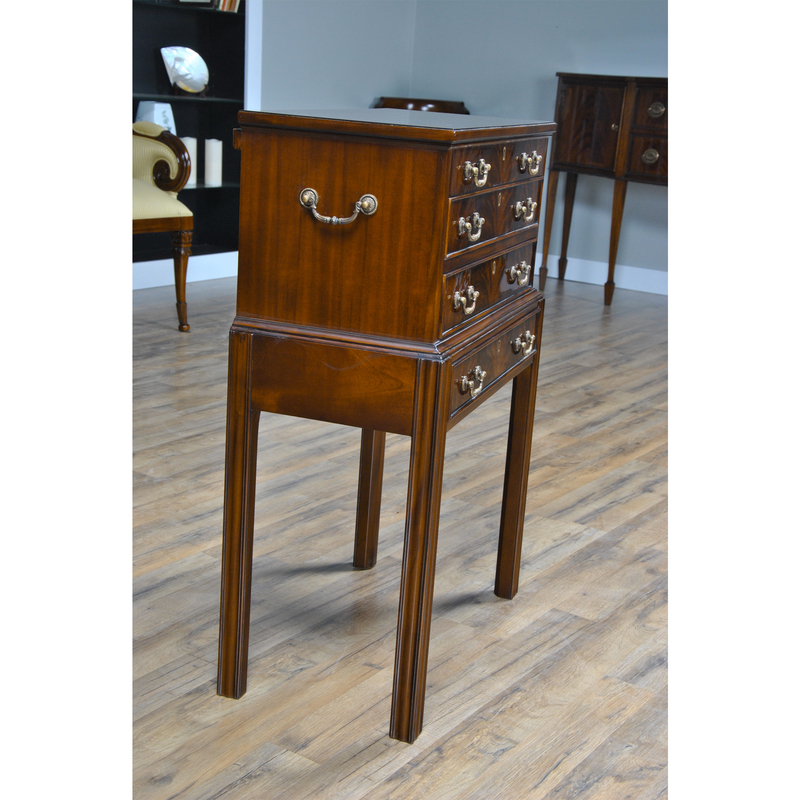 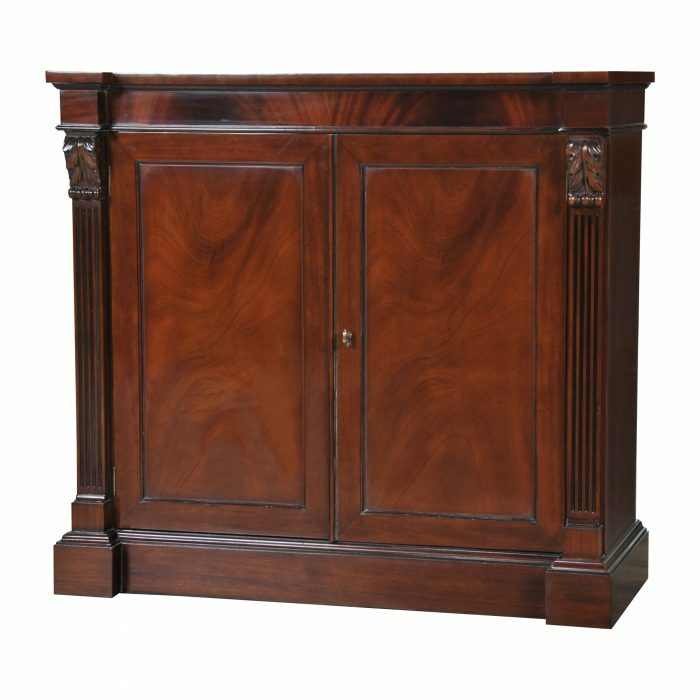 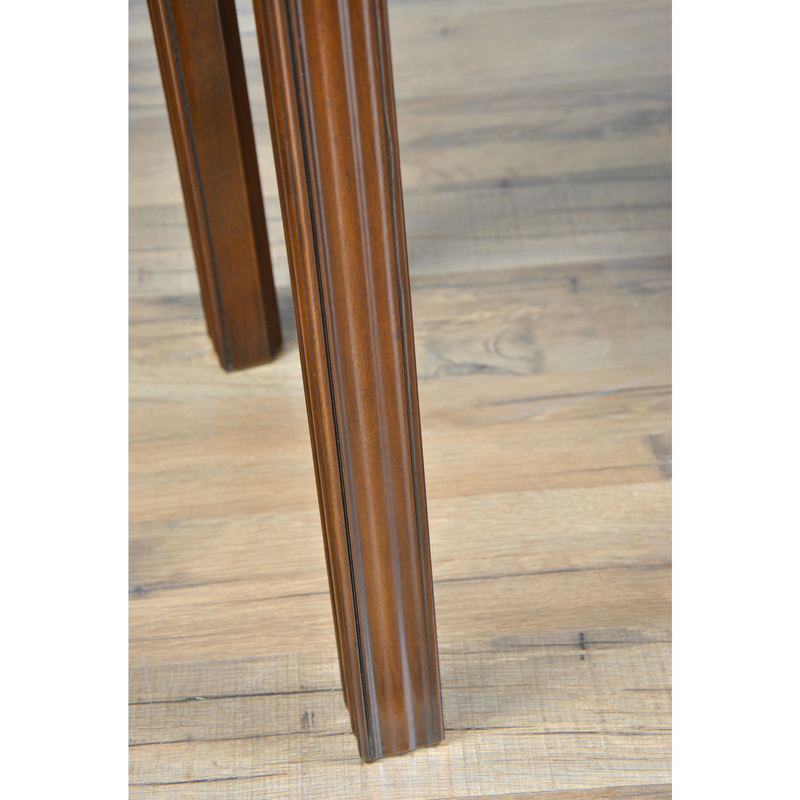 Solid, one piece construction, dovetailed drawers and great veneers and mahogany solids combine to create a lovely addition to any space in the house.